Feeling stuck in life can be distressing and overwhelming. Sometimes we can feel helpless, not knowing how to move forward. This is where counselling or psychotherapy can help. What is most important to me is to offer a safe, non-judgemental space, to hear your story and value your experience. 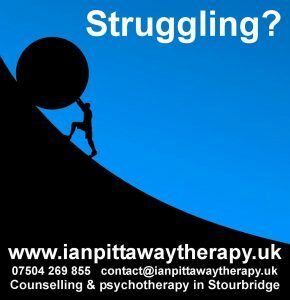 My role as therapist is to work with you supportively. Together, we will seek to understand what brought you to where you are. We will notice your patterns of thought, behaviour and emotional processes. With the support of a caring therapist, once emotional and cognitive patterns are understood, we can understand what is blocking you and what you need to move forward. I have been involved in self-development and creative insight my whole adult life, working in educational, artistic and psychotherapeutic contexts. 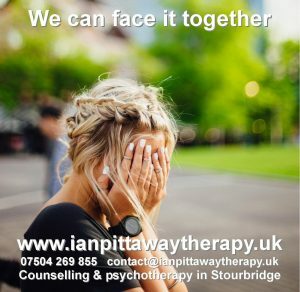 My psychotherapeutic practise is integrative, which means I use a mix of approaches (including transactional analysis, object relations, person centred therapy and self-psychology). This gives me a broad range of therapeutic viewpoints to draw on, as is appropriate at any given time with any individual person. This can only be done well in a welcoming, safe, caring, confidential environment, and so we meet in a dedicated therapy room. Often insights emerge and the way forward grows just by talking openly and exploring emotions, at the same time noticing our physical responses, since emotions are carried in the body. For those who need or prefer additional ways of expression, I use charts, photographs, postcards, objects such as Russian dolls, music, and any creative suggestions emerging from client work. I try, as much as possible, to be available when clients are free. I can therefore offer some evening and weekend appointments. Anyone over 16 years old is welcome. We usually begin with a brief phone consultation to find out what your hopes are for therapy, and to decide if we both feel I could meet your needs. 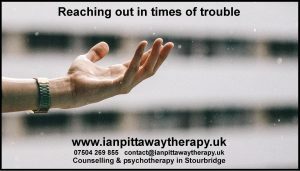 We then meet for 50 minute weekly sessions in Stourbridge, starting with an initial assessment during which I gain an overall picture of your story and your therapeutic needs. The rest of the sessions are shaped by your needs. If you have further questions, you may find the answer on the Frequently Asked Questions page. 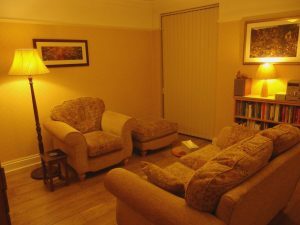 You may also find an article helpful, Is counselling or psychotherapy for me?, available by clicking here. If you have further questions, please be in touch through the contact page. It is distressing for an employee who is unable to fully function due to work-related problems or issues outside work which affect overall performance. Not only does s/he feel the pressure of the presenting issue, the additional worry of letting colleagues down can be compounded by the fear that management will judge them ‘not up to the job’ and that they are not able to fulfil family commitments. This is where a therapist external to work can make a significant difference, and can be a key way for an employer to show care for employees. Counselling and psychotherapy is not only good for distressed employees, it is an effective human resources strategy for employers. 55% of private sector workers in US companies and 10% of UK employees have access to counselling through work and, in these organisations, 6.5% of employees make use of it each year. The majority of the employees who make use of counselling, 90%, report high levels of satisfaction, would use it again if needed, and would recommend it to colleagues. For enquiries about corporate work, please use the contact page. I am available as a public speaker to interested groups about issues of mental health, psychotherapy and the process of personal change. This can be presented in a multimedia format, if required. The fee depends entirely on context. For enquiries about speaking engagements, please use the contact page.